Economics Minister John Deng predicts that the Taiwan government to lift the ban on mainland Chinese investments in the island's IC design houses as early as before his term ends next year in an interview with the Financial Times, saying that the government is considering lifting such ban that prevents mainland's enterprises wanting to hold a stake in Taiwan's IC design houses. According to Director General M.J. Wu of the ministry's Industrial Development Bureau (IDB), the ministry is studying the policy shift based on requests from local IC design houses and will likely publicize its decision shortly after the coming Chinese New Year holiday, which runs from February 6 through 14. When asked if mainland Chinese enterprises will be limited to hold only minor stakes in Taiwanese design houses as is the case in local chip foundries or chip assemblers, Wu points out that any model of investment can be considered as long as it brings more upside than downside to Taiwan's companies. He says that the government leans towards evaluating any cooperation deal on case-by-case basis in consideration of the reality that design houses vary from one to another. So far, the Taiwan government has allowed mainland Chinese investments in chip-making, chip testing and packaging, and liquid crystal display (LCD) and related-components sectors of the island's tech industry. But the investors are limited to holding less than half of ownership in a company, with such investment based on the principle to facilitate cooperation between industries on the two sides. In addition, all investments are approved individually. Wu points out that the government has no plans to further ease the criteria related to mainland's investments in Taiwan's chip-making and chip-packaging-and-testing sectors although it is considering lifting the ban on mainland's investments in the local IC design sector. He notes that in the past the government usually examined a multitude of industries en masse when planning to lift bans on mainland Chinese capital seeking investments in Taiwan. Its latest review of only the IC design sector for consideration of further easing the ban on mainland's investments in Taiwan's industries may be motivated by its attempt to push through the Cross-Strait Service Trade Agreement signed between the governments on the two sides of the Taiwan Strait but blocked by the opposition Democratic Progressive Party in Taiwan's legislature since 2013. In the interview, Deng said in politically-correct tone that the proposed policy shift would need to be “carefully managed” to protect Taiwanese jobs and technology but that it is necessary to allow more mainland Chinese investment or risk the industry losing relevance. He particularly stressed that mainland Chinese investors must be kept from furtively transferring technologies to the mainland via investments in Taiwanese companies, stealing trade secrets from invested Taiwanese companies, poaching talents from invested Taiwanese companies and triggering industrial out-migration. Incidentally Morris Chang, CEO of the chip foundry TSMC of Taiwan, said on TV recently that he fears not the red supply chain from China and that the mainland Chinese rivals lag at least a decade technologically behind Taiwanese chip makers. Many leading Taiwanese IC design houses have expressed appreciation of Deng's proposal to lift the ban on mainland's capital aiming at the island's IC design industry before his term ends. MediaTek Inc., Taiwan's No.1 IC design house by revenue, suggests the government conditionally permit mainland's investors to finance local design houses because such involvement provides Taiwan's IC design industry more opportunities to grow and become flexible not to mention boosting bilateral industrial cooperation. Phison Electronics Corp. believes lifting the ban will help Taiwan's IC design houses retain talents, elevate price/earnings ratio (P/E ratio) of Taiwan's listed design houses, improve finances of design houses, and offer better access to China's vast market to Taiwan's design houses. 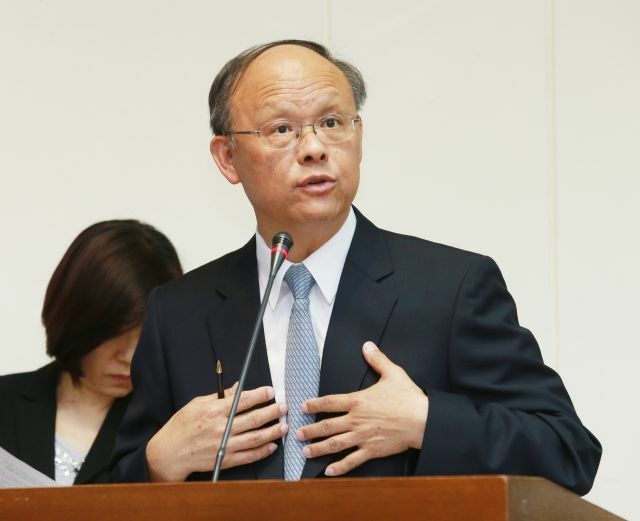 The issue of lifting the ban on mainland Chinese companies seeking to invest in Taiwan's IC design houses arose mostly after Zhao Weigou, chairman of the Tsinghu Unigroup, spoke out sternly against Taiwan's prohibition on mainland's investments in the island's IC design sector. At an international microelectronics forum held late October in Beijing, he boldly suggested Beijing to pressure Taiwan to open its IC design industry to mainland's investors by threatening to prohibit the island from selling Taiwan-made chips carrying Taiwan brands in the mainland. Zhao said he would like to meet with his counterpart at MediaTek, M.K. Tsai, to discuss the merger of his company's Spreadtrum Communications Inc. and RDA Microelectronics Inc. with MediaTek to take on Qualcomm Inc., recognized as the world's No.1 wireless chip vendor, if the Taiwan government lifts its ban on mainland Chinese investments in the island's IC design companies. Zhao's audacious suggestion has fanned fear among Taiwan's chip companies given that the mainland, the world's No.2 economy, is the globally leading market for semiconductor devices that depends on foreign sources for most of its equipment. Unlike the DPP who tends to be anti-China, institutional investors like Morgan Stanly, Nomura Securities, and Yuanta Securities feel that such a merger between top chip designers on Taiwan and the mainland like MediaTek and Tshinghua Unigroup would be an ideal business model for Taiwan's companies chasing bigger share in the global market. Both Financial Supervisory Commission Chairman M.T. Tseng and Central Bank Governor F.N. Peng cautiously approved a merger between MediaTek and Tshinghua, with Tseng stressing that any acquisition must be consensual instead of a malicious takeover, with Peng suggesting that any deal should not go ahead at the cost of Taiwanese management rights of the companies they founded.